Severe cash constraints faced by the Greek Government due to a pretty demanding schedule of interest and amortization payments in the remainder of 2015 have lately engineered a new explosion of sovereign bond spreads and rekindled fears of a GRexit down the road. Such fears have been exacerbated further in late April 2015 as the progress in implementing the February 20th 2015 Eurogroup agreement has proven to be rather slow and the cash-strapped Greek Government is struggling to meet sizeable debt service obligations. As a result, media reports had been speculating on a number of disastrous scenarios, ranging from the imposition of capital controls or the payment of civil servants and various state suppliers with promissory notes to a sovereign default, either within or outside the Economic and Monetary Union. This paper refrains from analyzing the legal and technical complications involved in the materialization of any of the aforementioned scenarios. Instead, it leans on purely economic and political economy considerations to argue that calls for exit are ill advised, potentially involving immense risks not only for Greece, but also for the EMU project as a whole. We take a close look at Greece’s past history of drachma devaluations and their outcome, the current high sovereign indebtedness, and the country’s persisting competitiveness gap vis-a-vis its main trading partners as well as the effects of financial contagion during the ongoing European Sovereign Debt Crisis. We explain why a GRexit would be a hugely suboptimal (and, in fact, a highly dangerous) strategy to address these problems. via GRexit and Why It Will Not Happen: Catastrophic for Greece and Destabilizing for the Euro by Platon Monokroussos, Theodoros G. Stamatiou, Stylianos Gogos :: SSRN. This entry was posted in Blogpost and tagged breakup, euro, greece, grexit on June 27, 2015 by brianmlucey. The future of the euro — what happens if a Member State leaves? The continued viability of the Eurozone as a single currency area is challenged from time to time. Some doubt the ability of Italy and other Member States to remain in the zone, given their difficulties in complying with the applicable budgetary rules. Even the French Prime Minister has commented that life was sometimes easier with the franc. This article considers some of the consequences which may ensue in the event that a Member State felt compelled to seek an exit from the Eurozone, and to reintroduce its own national currency. The Treaty does not legislate for this type of situation and any such attempt would clearly cause severe strains at a political level. But it would also have a major impact on the financial markets. In particular, there may be doubts about the currency in which continuing monetary obligations should be settled. This article seeks to analyze the legal issues which would arise in this context. via The future of the euro — what happens if a Member State leaves?. Can we unscramble the euro mess? Can we afford not to? The greek mess shows how debased the whole Euro project has become. Its time to think the previously unthinkable and consider how to unscramble the eggs. Its time to think about how to back out from the Euro. This entry was posted in Blogpost, Journalism and tagged Academia, breakup, economy, euro, greece, grexit on June 27, 2015 by brianmlucey. What this means in detail is dissected in the newspapers and blogs. See in particular Constantin Gurdgiv, the Irish times, and the guardian for good and differing takes. In practice the ECB will purchase lots of govt debt in the secondary markets, subject to the countries whose bonds are being purchased in effect being under ECB and Commission scrutiny. These bond purchases will be sterilised: there will be no net addition to euro area liquidity. That’s nice…but it’s not what’s needed. First, who died (apparently modern capitalism…) and made ECB god? They’re a central bank, and it’s not at all clear that they should be overseeing fiscal actions. They should, like a good central bank, concentrate on monetary issues. Of course, absent reasonable or any actions from the governments, someone has to oversee the fisc, so perhaps we shouldn’t be so critical. Fourth, this is a beefed up version of the previous ECB acronym soup….each was unveiled as the solution, six months later they all had failed. Central banks and the currencies they supervise are in the end creatures of confidence. Serial overselling of a solution and serial failure does not inspire confidence. Combined with gross politicisation of monetary policy (if the Bundesbank wants to run Europe, they can’t…) confidence and indeed faith in the ECB and the euro is not high. This entry was posted in Blogpost and tagged bonds, debt, ECB, euro on September 7, 2012 by brianmlucey. Ireland is not in Europe.. This is an expanded and updated version of an opinion piece published in the Irish Examiner on Saturday 4 August 2011. 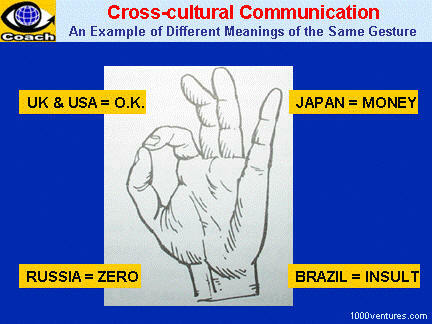 National Culture is a funny fuzzy concept. Anyone who has ever dealt across different societies knows that cultures and how things are reflected in them differ widely. It can be thought of in this context not as the “high culture” so derided by Goering and the other Nazis who declared, “When I hear the word culture I reach for my gun”, but as the complex interwebbing of how we operate as a society. If we have learned nothing else form this crisis it is that economics is, and must be treated as a social analysis. Culture in this context then includes religion, the way we formulate laws, the holistic way in which society works. A widely cited definition of culture is “is that complex whole which includes knowledge, belief, art, morals, law, custom, and any other capabilities and habits acquired by man as a member of society”. We are familiar with this in Ireland. There is a culturally accepted norm that we do not, generally, evict people. There is a cultural norm that we do not generally either whistleblower or reward those that do so (we are indeed only now getting round to protecting same). We might as economic analysts decry the effects of these, but that they are cultural norms is something we cannot deny. And culture is very slow to change. Its a funny feeling to be on the (kinda) same side as Mitt Romney, who caused uproar when in Israel he suggested that the culture of a country powerfully influences its economic prosperity, pointing favourably to Israel in contrast to the palestinians. This did not go down well in many quarters. On parsing this in the National Review he seems to equate culture with freedom and no doubt there is a linkage but the relative lack of freedom of the average palestinian is as much a reflection of their being a geopolitical chewtoy as some form of inate cultural preference. And the massive aid channeled to the Israelis by the USA over the decades has had some influence one might imagine on their economic development. 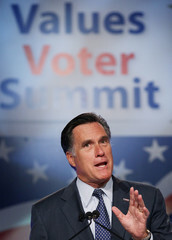 But Romney is right in one sense, that culture, defined broadly, does matter for economic outcomes. Culture, or proxies for same, has only recently been accepted as a valid part of modern economic analysis. While cognate disciplines, in particular international management and latterly international finance scholars have adopted many measures that proxy for aspects of culture mainstream economics has been to date slowly to take these on board. 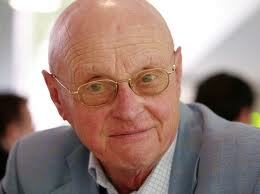 This is despite the fact that the most cited social scientist by some measures is a Dutch scholar, Hofstede, who’s work on culture from the 1980s has been of profound importance to how international business scholarship has progressed. I had the experience dealing with Irish economists on presenting work ( see here and here )involving this scholar’s concepts to be told by such things as “what we cant measure is not amenable to being modeled and as such is not useful” and “sure that’s not economics so why would we read or cite it”. If economics is to move forward it needs to escape from the blind alleys of needless formalism and the conflation of assumptions made for modeling purposes as being actual representations of reality. At the leading edge this is already the case but we know from studies of the philosophy of science that the body of knowledge rarely moves until a crisis. Perhaps this is the crisis. 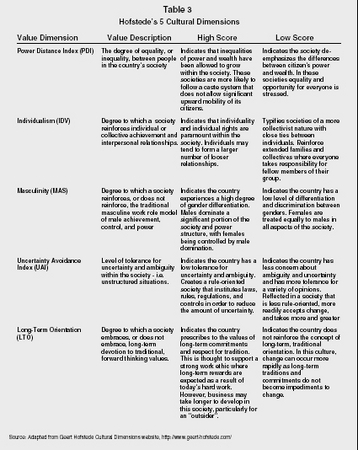 Hofstede proxies culture as being on four (latterly five) dimensions. He suggested from his work with managers and later extended that societies could be ranked along how masculine they were, how great a proclivity they had for individualism, the extent to which people were and were accepting of being distant from power, whether the society is long or short term orientated, and the extent to which they would avoid uncertainty. 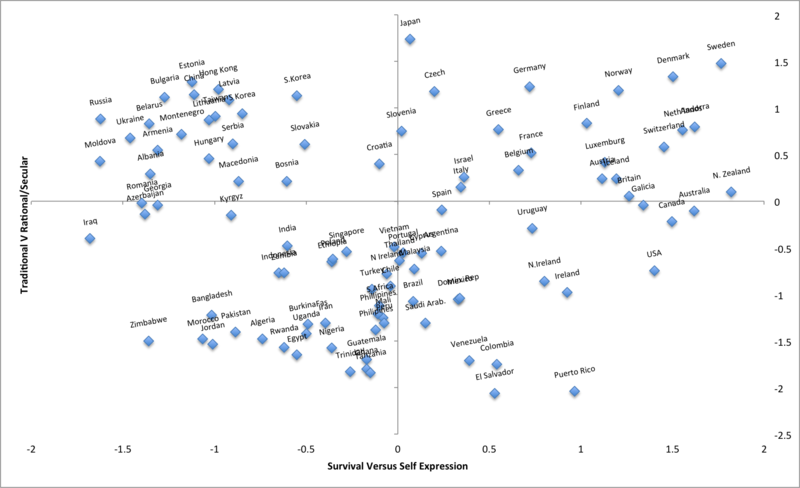 Over the years other scholars, in particular those associated with the world values survey have amended and extended this basic insight but the work and measures of hofstede still dominate.A vast literature in international business has found that these cultural dimensions are associated with many economic phenomena. Thus we find that even when we account for other issues (different accounting standards, different legal systems, different ways of dealing with creditors) relative cultural distance is associated with lower foreign direct investment, lower degrees of mergers and acquisitions, and lower portfolio investment. That’s perhaps not very surprising – all things being equal people feel more comfortable doing business with people “like themselves”.What is perhaps more interesting is how the individual elements of culture impact. In hofstede metrics Ireland is low on power distance (information flow and management tends to be informal and not hierarchical), highly individualistic and masculine (encouraging of risk taking and focused on winning for personal gain), and low on uncertainty avoidance (risk is rewarded and technicalities tend to be ignored) and on long-term orientation (we tend to not pass up short-term gain even if that may have long-term deleterious consequences). These traits are associated in recent research with for example earnings management in companies, and to more inefficient banks. Lower uncertainty and shorter term orientation is associated with low levels of cash buffers and thus an inability to ride out shocks. This analysis can be carried further : countries (such as Greece) with low individuality, low masculinity and high uncertainty avoidance are more prone to tax evasion ; higher uncertainty avoidance is associated with more severe impacts from crises. Low power distance and high individuality (as is the case in Ireland or Germany but not Greece) are associated with easier adoption of new work practices. The list can be extended greatly. The reality is that there is a growing body of literature, mostly outside economics but increasingly seeping into it that shows that we ignore national culture at our peril. One of the things that the Eurozone crisis has exposed is the divide in Europe. There are many divides: Germanic neomercantilism versus communitarian economic policies, countries with zombie banks and those that have banks in the process of zombification, the UK versus everyone else. But one that in many senses may underlie this is the cultural divide. An increasing amount of culture studies use the framework of the world values survey. This is a complex instrument but it in essence can be reduced to two scales : how traditional/open is a society and how collective/individual is it. What is remarkable is when one plots these measures we find groupings of countries fall in place in accordance with our preconceptions : latin American countries fall mostly in one area, east Asian in another and so on.What is striking when we examine this is how non-homogenous the EU appears. 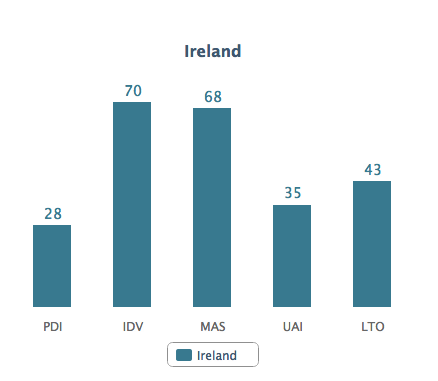 The other issue is how much of an outlier Ireland appears when viewed through this cultural lens. Culturally we are much more similar to latin American countries than we are to northern European or even Mediterranean countries. The prevailing approach in Europe at present is to make us all good germans it seems. That wont happen. An approach that recognizes that there are deep cultural divisions, that these reflect in different economic outcomes and approaches, and that a union which wishes to thrive must acknowledge, accept and manage with these is one that will be much more likely to stand the test of time. Rather than becoming poor imitations of germans this approach would urge us to become better Irish, greek or Italians. This entry was posted in Blogpost, Journalism and tagged banks, business, cris, crisis, culture, Distance, ECB, economics, economy, euro, Europe, Hypocrisy, Israel, Mitt Romney, Palestine, Palestinians on August 4, 2012 by brianmlucey.